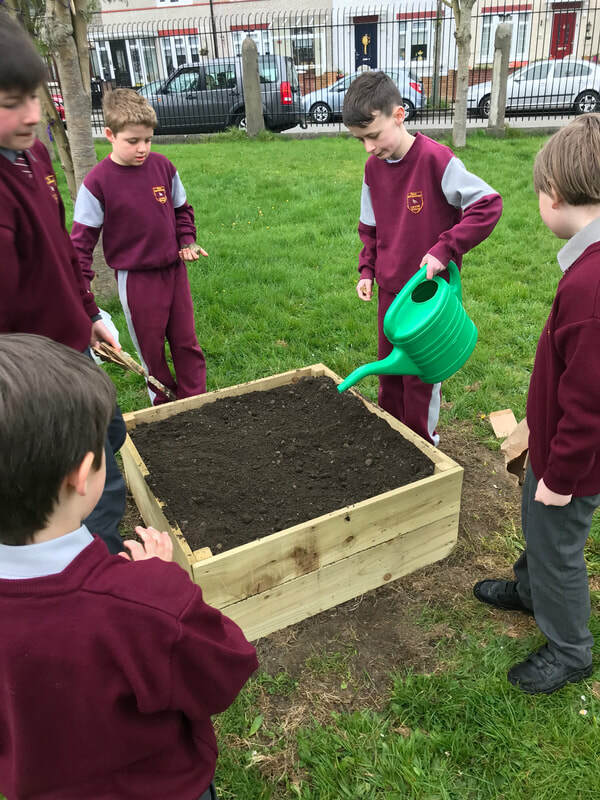 Our school opened in 1942 and serves the parish of Larkhill, Whitehall and Santry. 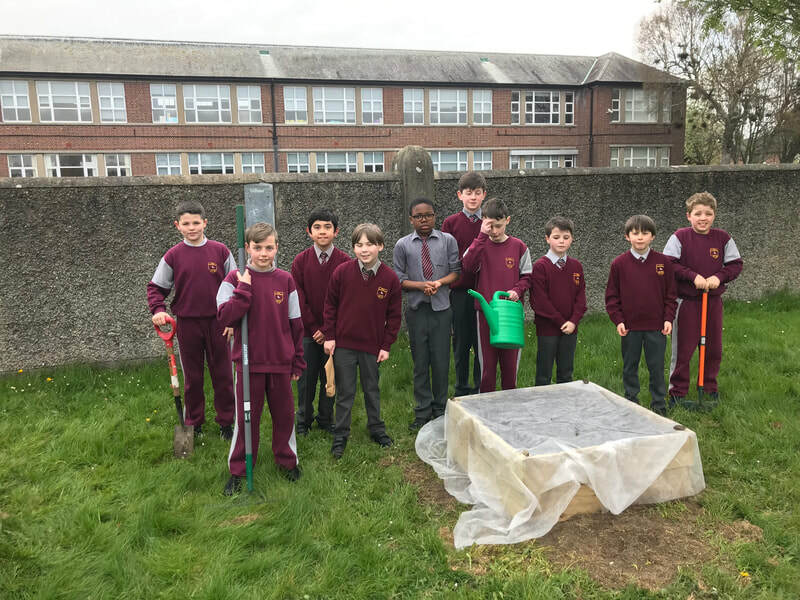 We cater for boys from first to sixth class. Our dedicated and caring staff are committed to providing a safe and happy environment where all our pupils can reach their full potential. 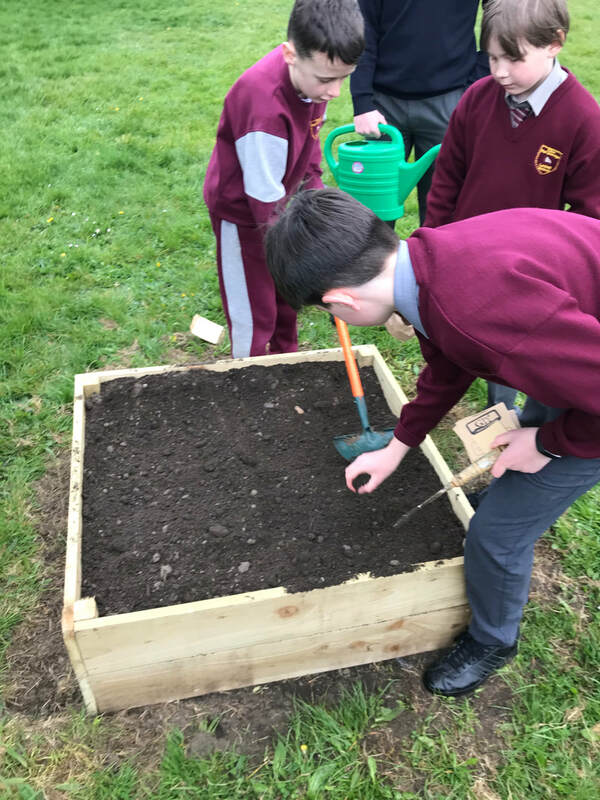 Our Green School Committee get planting for our GIY garden project - we can't wait to see what has sprouted up after the Easter Holidays! We are hoping to win water coolers for our school. To be in with a chance, we ask parents to go to the EWT facebook page and mention our school. Thank you! Swimming lessons for 1st & 2nd class boys will run on Wednesdays until the 15th of May. Due to the short term after Easter there will be no after school clubs. School will be closed for Easter Holidays from Monday 15th to Friday 26th of April and will re-open on Monday the 29th of April.